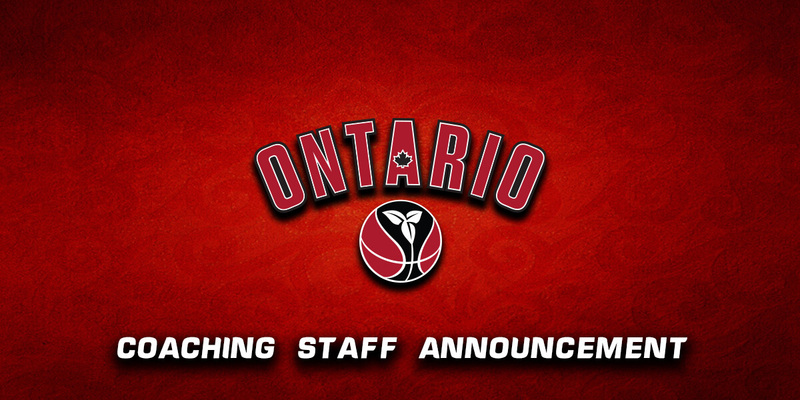 Ontario Basketball is pleased to announce the 2019 Team Ontario coaching staff for the three girls’ provincial teams. Veteran Team Ontario assistant coach Lexie Sananes has been named head coach of the U17 Girls, the defending national champions. She brings an abundance of experience from serving as assistant coach of the York University women’s basketball team for six seasons. She is also head coach of the Ontario Scholastic Basketball Association (OSBA) expansion team, Redmond Basketball Academy. Sananes is supported by returning Team Ontario assistant coaches Elsa Donovan (London Ramblers) and Kelly Van Leeuwen (Brantford CYO), who were part of the U15 team that captured silver last summer. Another York University assistant coach joins the squad with Emily Hazlett as apprentice coach after spending last summer in the role for the U14 development team. Gord Everett returns as head coach for the U15 Girls after a silver medal performance at last summer’s National Championships. Everett is also bench boss for Caledon Basketball Academy in the OSBA. Jobina D’Aloisio (Lincoln Prep; Flamborough Fire) makes her debut with the U15 program as assistant coach after a successful head coaching stint with the U14 Girls last summer along with her U14 assistant coach, Michelle Abella (Blessed Sacrament). Jody Brown, assistant coach for the Wilfrid Laurier men’s program, returns as the team’s apprentice coach. Jessica Roque is head coach of the U14 Girls developmental team. 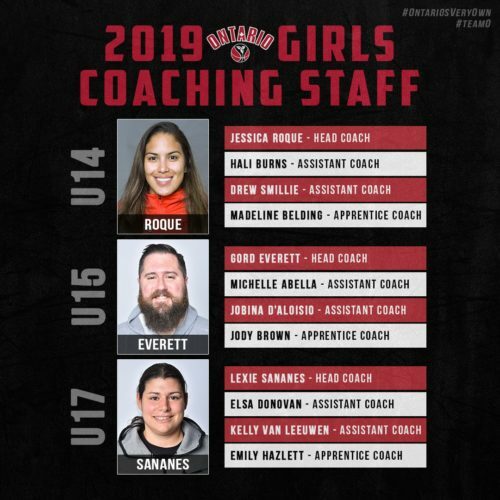 Roque, the lead assistant coach for the Ryerson Rams, was previously part of Team Ontario in 2017 as assistant coach for the U17 Girls who won silver at the Canada Games. She is joined by Drew Smillie and Hali Burns. Smillie is new to the provincial team program but he brings a vast amount of experience as assistant coach of the defending two-time OSBA champions, the Lincoln Prep Huskies. Burns, meanwhile, returns to her assistant coaching role for the U14 team. She also brings experience as assistant coach of the University of Toronto Mississauga Eagles and the OSBA‘s TRC Academy. University of Windsor assistant coach Madeline Belding will be team’s apprentice coach in her first year with the provincial program. The U15 and U17 Girls will compete in the annual Canada Basketball National Championships in British Columbia this upcoming summer. The tournament dates and host city will be announced by Canada Basketball. The U14 development team will compete in various tournaments in both Canada and the United States. Tryouts will take place across the province in January and February 2019. Exact dates and locations will be announced and posted on the U14 Girls, U15 Girls and U17 Girls Team Ontario pages. Team Ontario consists of the top male and female basketball players in the province, and the teams are a continual medal favourite at the annual U15 and U17 Canada Basketball National Championships. Team Ontario’s coaching staff also represents some of the top coaches in Ontario. Between the four teams, Team Ontario has won gold at over 70% of the national championships since 2002. To help maintain Team Ontario’s winning tradition, the U14 Boys and Girls development teams prepare young players to compete at the provincial level. Written on 2018-11-30, in News.